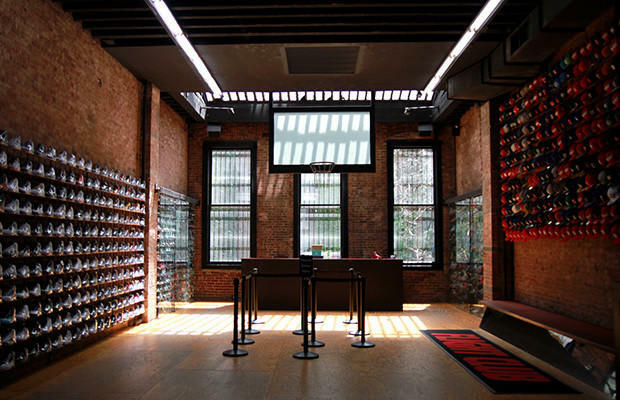 With more and more sneakers getting released nearly everyday, the inventory at Flight Club is constantly changing. The shop isn't just full of grails from yesteryear (although you can find those, too), there are also new sneakers for sale. At Flight Club right now, there are exclusive lasered Air Jordan IVs, the ones that dropped 10 years before the 2015 iteration, old school Air Max 1 collaborations, and even rare Nike SBs to be had. To check out what's in-stock for December, here's Shelf Space: 10 New Sneakers Available at Flight Club Right Now.